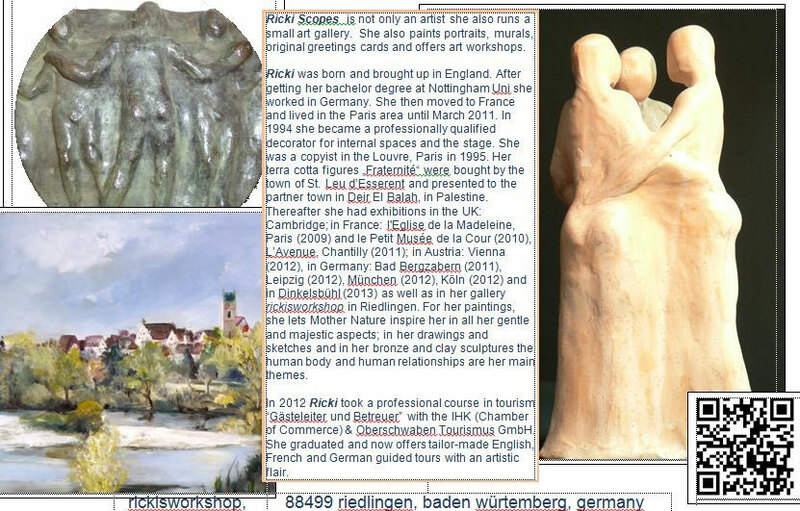 painting workshops - rickisworkshops Jimdo-Page! Gallery Scopes first opened its doors in April 2011. I am proud that I, as gallery owner, have created a platform in the town centre pedestrian zone where artists and art lovers can meet in a convivial atmosphere. 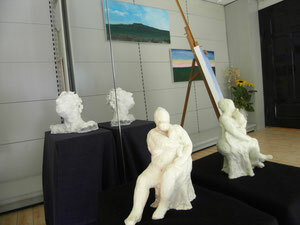 The Gallery is praised for providing a professional but relaxed environment. The Gallery has an international outreach and because I am trilingual German, English and French this facilitates international exchanges. The Gallery exhibits works by contemporary artists, with a focus on painting and mixed media. Gallery Scopes regularly features in the press and has the support of the Town Mayor and Trade Associations. The Mayor regularly speaks at the Openings and named the Gallery “an important cornerstone of Riedlingen’s cultural scene”. 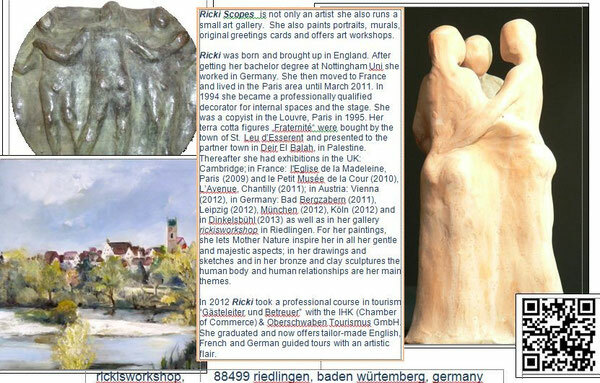 The Gallery has also used satellite exhibition space in France and in Germany on the French border. Regular exhibitions are held with visiting artists and in-between these exhibitions, the Gallery shows work by the core group of artists represented. You can sign up via this site or email. Accommodation possible (details upon request). Minimum 6 - Maximum 10 students per workshop. I run pottery sculpture workshops .